Town of Runners is a feature documentary about young runners from Bekoji, an Ethiopian highland town which has produced some of the world's greatest distance athletes, including world and Olympic champions Tirunesh Dibaba, Kenenisa Bekele and Derartu Tulu. NAAM partners with Bank of America to offer 1st free weekend admission to Bank of America clients and staff once a month throughout 2013. Simply show your Bank of America ATM, credit or check card and photo ID at our reception desk and receive free admission to NAAM! James McBride, author of The Color of Water will present a book reading from his latest novel, The Good Lord Bird. This September at the Northwest African American Museum, gifted griots - or storytellers - will enchant young and old with tales recounted following oral traditions. Free and open to the public. Join us for wine and hors d'oeuvres and meet Marita Dingus at a special reception to celebrate her exhibition Marita Dingus: Fashion Free-For-All on view at the PACCAR Gallery through January 5, 2014. As part of the Community Conversation Series, Dr. Leeming will present The Prophecy of James Baldwin to suggest that James Baldwin was a prophet, a voice whose message speaks to us about who and what we are in relation to who or what we pretend to be. The presentation will trace Baldwin's mission as expressed in his life and work. $6 admission; free for NAAM Members. 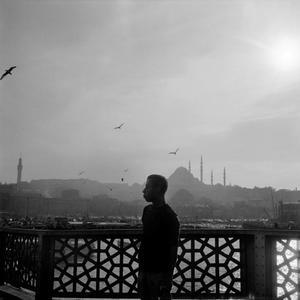 Bearing Witness from Another Place: James Baldwin in Turkey. Exhibit closes on September 29th! Who Who Who played for the Owls? Do you know anyone who played for the Owls Club? 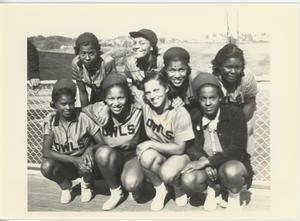 The Owls Club was a Seattle-based women’s softball team that won the state softball title in 1938. We are looking for people who can shed light on this team’s history for our upcoming exhibit,Pitch Black: African American Baseball in Washington. Please contact the curatorial department if you have any information about these athletic women. Do you know who any of these ladies are? Please let us know. Photo provided by Rhonda Hollingsworth.